W.H.2 Inc. has been in business for 20 years and has locations in New York as well as Aventura. We specialize in all types of watches. We sell and repair watches such as ROLEX, CARTIER, PATEK PHILLIPE and many more. We also buy watches, jewelry and gold. 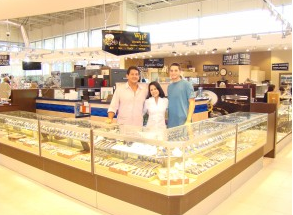 Please come and visit our location here at International Jewelers Exchange.